My name is Jean Kaczmarek. I’ve been a volunteer watchdog of DuPage County government for a decade. Today I filed a complaint with the DuPage County State’s Attorney on what appears to be prohibited political activity at the DuPage County Clerk’s office. Specifically, I have concerns with county employees who were asked to notarize political petitions on behalf of the Chief Deputy County Clerk’s candidacy for DuPage County Clerk. Commission and bonding fees for these employees are paid for by the county. As of several weeks ago, the Clerk’s office still did not provide notarization service for citizens, free or for a charge. Twenty-four of these petitions were notarized by a County Clerk employee. Five of these petitions had been circulated by the Chief Deputy himself. The Chief Deputy also had several dozen petitions, along with his statement of candidacy and loyalty oath, notarized by an employee of the Recorder’s office, which is directly across the hall from the County Clerk’s office. When I discovered that my own statement of candidacy for County Clerk needed a minor change and had to be notarized, I had to leave the 421 Building and drive to a bank. Many of the Deputy Clerk’s petitions were circulated by county officials and employees, then notarized by county staff. A review is also necessary to ascertain if petitions were completed during work hours of all county employees signing, circulating and notarizing. The definition of prohibited political activity includes preparation of petitions. The County Clerk’s office is responsible for completing the notary commission process for all notary public applicants throughout the county and recording these appointments. This office, more than any other, should be held accountable for any misuse of notaries. The Chief Deputy County Clerk appears to have crossed a line between campaigning for an elected office and performing his duties as a county employee, by using our government resources to complete his political petitions. These are among the risks when a government employee runs for political office, especially while employed at the office he hopes to officiate. My complaint is five pages long with 85 pages of public records backing it up. It is not a legal document. It doesn’t have to be. It is the procedure for ordinary citizens such as myself to explain problems and back them up with proof. It’s the job of government attorneys to perform the legal work. Presenting this complaint to the State’s Attorney’s office is a formality. This office has jurisdiction to deal with such issues. However, due to multiple conflicts of interest, I have requested the State’s Attorney’s office to recuse itself from processing and opening the investigation of this complaint. I have no confidence in the State’s Attorney’s office. Conflicts of interest also exist within the DuPage County Ethics Commission. This complaint must be taken out of the county immediately for objective handling. This isn’t the first time I’ve filed a complaint with the State’s Attorney’s office. In 2009, I filed a well-substantiated complaint regarding the DuPage County Election Commission and the vendor, Robis, Inc. The Commission’s executive director had secretly been accepting royalties as co-inventor of software with the vendor. County resources were used to launch and market this product which personally financially benefited the executive director. This was all done with the knowledge and consent of the Election Commission board. The State’s Attorney’s office conducted a very limited review. They were asked to re-evaluate the Robis matter in 2012. The only public document available on that second review is a single email. The State’s Attorney’s office sat on the complaint while it quietly went away. Nothing was ever done. Robis, Inc. continues to be a vendor of the Commission. The executive director kept his job and continues to receive raises. Unacceptable. I will not let this happen again. There are long, political ties within the State’s Attorney’s office with many of our county officials, not just the Clerk’s office. I expect this complaint to be transferred immediately to an appropriate authority. I also expect that County officials will handle this matter the way they would a non-patronage employee. No preferential treatment. Not included in this complaint is all the ongoing political activity at the Clerk’s office. The Chief Deputy has been very politically active before and during his employment at this office. The County Clerk serves as the Chief Deputy’s campaign chairman; the Chief Deputy serves as the County Clerk’s campaign treasurer. County Clerk staff attend the Chief Deputy’s fundraisers and make political contributions to him. It seems practically everyone in that department is a patronage hire and/or supports the Chief Deputy politically. A county clerk staff person was given a personal leave of absence this year for his primary campaign for state rep against Jeannie Ives. This staff person was a patronage hire rewarded for his campaign work; the Chief Deputy is his supervisor. The County’s personal leave policy is very strict. There is no provision allowing an employee to be granted a personal leave for a political campaign. We don’t have to go all the way to IDOT or Metra to find patronage workers. They’re right here in DuPage County. Finally, I am shocked and frustrated that political activity within our county government offices continues, following the outcome of a federal lawsuit against our county sheriff’s office last year. Tax payers had to pay a settlement in the upper six figures on a case based on what appears to be improper, unethical and illegal political activity within that office. More county employees within the sheriff’s office have piled on additional lawsuits. If they prevail, tax payers stand to lose millions. Prohibited political activity is a big problem in DuPage County. It impacts all of us. Yet, this problem is so easy to fix with tougher policies, better training, and a willingness to enforce laws which already exist. Our county officials have chosen to do nothing and here we are today. I am a candidate for DuPage County Clerk. This fact must not diminish the serious evidence presented. For the past 10 years, I have been a county government watchdog. I am filing this complaint as a citizen and a watchdog. Laws and the County’s Ethics Ordinance are clear and must be followed at all times by government officials. Good government should never be placed on hold or dismissed simply because it’s election season. 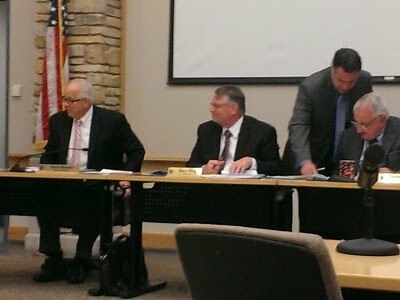 This month the DuPage County Board renewed its lobbying contracts. That's why I gave public comment calling for greater transparency of lobbying activities by broadening reporting requirements and making that information available online at the County Clerk's office. A public portal would allow us to search names of lobbyists A to Z, find out who they’re lobbying, what they’re lobbying about, dates of contact and total compensation. “Lobbyists Online” has been a proven success at Cook County since 2010 as part of their Lobbyist Sunshine Initiative introduced by Cook County Clerk David Orr. The initiative was swiftly passed by unanimous decision. We need this public service in DuPage. As Orr predicted, Lobbyists Online gave taxpayers, elected officials and the media unprecedented access to track lobbying. The percentage of lobbyists and firms reporting compensation in Cook County leapt from 15 to 48 percent immediately after the reporting switched to online. Government watchdogs, including myself, applaud it. Placing more lobbying information online diminishes speculation of what’s going on behind closed doors. It aligns perfectly with DuPage County's ACT Initiative promoting accountability and transparency. And, it's so easy to achieve. Why is a DuPage County Employee in this Picture? A full-time County employee is allowed to leave his job on a work day for his boss' personal financial benefit. The above photo was taken on the morning of June 3, 2014 at the DuPage Forest Preserve Board meeting. The man sitting in the middle isn't the name the desk plate identifies. That's because DuPage County Clerk Gary King was at the DuPage County Board meeting scheduled during the same time. The man in the photo is Paul Hinds, a full-time government employee and my opponent for the 2014 DuPage County Clerk race. He is an employee of DuPage County, which is a separate government entity of the DuPage Forest Preserve. It's a bit confusing, I admit. The Forest Preserve broke away from the County in 2002. Some traditions are hard to let go, so the Forest Preserve Board decided to keep King on in the ceremonial position of Board secretary. So about twice a month, my opponent's boss treks to the Forest Preserve for their Board meetings. By now I know you're all very concerned that King volunteers this extra work. Set aside those fears. The Forest Preserve pays him a stipend of $10,000, bringing King's total government salary and stipends to nearly $160,000. Watch a video here of me griping publicly about this arrangement 18 months ago. For this extra $10,000 annually, King does the roll call and adds up the yeas and nays totaling six, if all Forest Preserve Commissioners show up. He doesn't take notes or prepare minutes. Instead the Board secretary has his staff back at the County do all that for no extra compensation -- all for the personal benefit of their boss. There is no formal, written intergovernmental agreement for this arrangement, despite District 2 County Board Member Liz Chaplain's repeated requests over a year ago. Under what authority is a DuPage County employee sitting in at a separate government entity, the DuPage County Forest Preserve? Who is performing the job responsibilities of the County employee while he's at the Forest Preserve? Who is paying the County employee to be at the Forest Preserve? Is the County employee taking a vacation day or personal day? Who is liable in the event of an accident during this time, the Forest Preserve or the County? 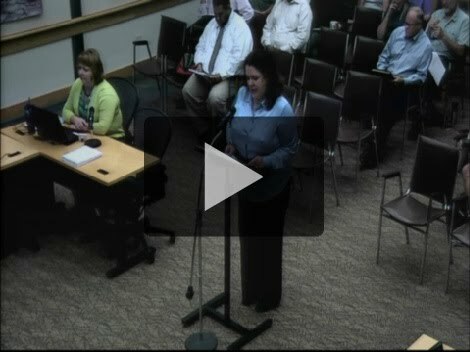 Why is a County employee allowed to sit in executive session of the Forest Preserve Board? Does this mean a Forest Preserve employee can sit in executive session at the DuPage County Board? Is King's way of paying Hinds back by serving as his campaign chairman? It's not enough for DuPage County government to repeat again and again that they're transparent. They actually must practice it. Today, the Daily Herald published an article by Robert Sanchez, "DuPage County Board Puts Brakes on Raises after Legal Questions Arise." Those legal questions came from me. For years I've been disturbed about the salary the DuPage County Clerk receives. DuPage is the only county in the state with an independent county-wide election commission. In all other counties, the electoral process is conducted by the county clerk's office. In fact, if you'd ask any of these other county clerks what their number one responsibility was, they'd all reply, "Administering elections." DuPage pays far more for its county clerk than any other county for the least amount of work. Our county clerk has a base salary and one county stipend totaling $143,000. That's 43 percent more than the average clerks receive in the top ten other most-populated counties in Illinois. So a two- or three-percent raise practically every year really adds up. Additional stipends bring the total salary for our county clerk up to nearly $160,000. I've been calling for a pay cut for the County Clerk. Half the job, half the salary. The County Board's scheduled vote for raises for the County Clerk and other elected officials was buried in a thick agenda packet posted Friday night before a three-day holiday weekend. They were scheduled to vote on the raises the day everyone got back to work. This all seemed very wrong to me. So after reading the Open Meetings Act, I believed I had some valid questions. The Board agreed after my public statement; the vote was tabled. Good evening. My name is Jean Kaczmarek. The agenda states that you will be voting on future raises for elected officials. Tonight I have concerns that this vote is a potential Open Meetings Act violation. The Open Meetings Act, ILCS 120/7.3 b) reads: At least 6 days before an employer participating in the Illinois Municipal Retirement Fund approves an employee's total compensation package that is equal to or in excess of $150,000 per year, the employer must post on its website the total compensation package for that employee. A week ago, I searched the County’s website thoroughly for where increases for compensation packages up for vote might be posted, including the Employee Compensation home page. After all, the salaries for positions of elected officials are included within the same database as employees. I could not locate anything. I was beginning to think you wouldn’t be voting at all on raises. But then, I found the pending raises in the agenda packet posted Friday night before a three-day holiday weekend, buried on pages 520 to 526. Because I knew that this room would be filled with legal gray matter and that I’m just an ordinary citizen, I sought the opinion today of the Illinois Attorney General’s Public Access office. I spoke with Asst. Attorney General Tim O’Brien. I asked about the definitions of employer, employee and elected official. Mr. O’Brien said that it would require research. He said that the County may be operating within the letter of the law, but not the spirit of the law. He said that it struck him that less than sufficient notice was provided. Mr. O’Brien told me that I raised valid questions and that there was cause for further inquiry, and that if I filed for a request for review of an alleged OMA violation, his office would take it seriously. Placing pending raises for elected officials in a thick agenda packet posted the Friday night before a three-day holiday, then voting the following day, does NOT meet my criteria for transparency. It’s not enough to repeat again and again you’re transparent. You actually have to practice it. Whether you vote yes or no to raises isn’t my point. I’m concerned that you shouldn’t even be voting on these resolutions at all, especially when some of you will personally benefit should they pass. I have made copies of the statute and the County’s employee compensation webpage where the pending salaries should have been posted at least six days ago and weren’t. Why Does DuPage Pay the Most for its County Clerk? In every county in Illinois, the electoral process is carried out by the County Clerk’s office, with one exception – DuPage. We are the only county with an independent county-wide electoral process. I’ve been critical of this structure while witnessing years of conflicts of interest, patronage appointments, and massive over-spending. A conspicuous and strangely overlooked chunk of this over-spending has been the bloated salaries at the top. This month, the County Board will be voting on the salaries of elected officials, so I’ve compiled the clerk salaries of the top ten most-populated counties in Illinois aside from DuPage. The salaries range from $81,500 to $121,700. The average salary is $99,700. If you ask any of these county clerks what their number one responsibility is, he or she would say: Administration of the electoral process. Our county clerk has nothing to do with elections, yet he receives a base salary of $143,000. That’s 43 percent more than the average these other clerks make. He receives by far the most pay with the least amount of responsibility. Adding to the outrage, the DuPage County Clerk also receives $3,500 annually for serving as secretary on the DuPage Liquor Commission and $10,000 annually for serving in the ceremonial position of secretary for the DuPage Forest Preserve. All pension-eligible, of course. So when our county clerk steps down, he'll receive 80 percent of $143,000 plus these other sweeteners guaranteed for the rest of his life. Even our Election Commission executive director receives far more than any elected county clerk outside DuPage with a salary of $133,000. Our county clerk was quoted in the media, “I'm glad I don't have to worry about elections.” Indeed. If our county clerk doesn't want the headaches and work load the other 101 county clerks in Illinois, then he shouldn't be paid so well. He shouldn't be allowed to have it both ways. On May 27th, the DuPage County Board will be voting on the salaries of elected officials. That's why I told the Board this week in public comment that if there is no willingness for the office of DuPage County Clerk to conduct the electoral process, then the salary should be cut in half. I added: If you disagree, you must justify to DuPage taxpayers why they should pay more for the same services other counties receive for a lot less. Half the job, half the salary. Will the DuPage County Clerk Pave the Way for his Hand-Picked Successor? The Farmer's Almanac predicted that the winter of 2013-2014 would be "biting, bitterly and piercing" and that Illinois would be "biting cold and snowy." Unfortunately, that forecast proved correct. Too correct. I'm wondering if another prediction will come true: The current DuPage County Clerk will retire early to allow his deputy to be the incumbent for the November 2014 election. This forecast isn't based on sunspots and magnetic storms of the surface of the sun. Instead, it's based on the unpublished, trusty political playbook of DuPage County. Think of the political advantage of tax-paid name recognition in news quotes, on the county webpage and on letterhead. Think of the photos. And, think of the signage -- every person entering the 421 County Farm Road building would be behold his name, just as drivers were bombarded with "Rod R. Blagojevich, Governor" signs on the Illinois tollway. Instead of the people, one guy would get to decide who the next county clerk should be. We could just skip the election. There's little incentive for the County Clerk to hang around. He's been in that department since 1965 and was elected for the first of seven terms in 1986. He's qualified to receive 80% pension on his $142,000 salary – by far the highest salary of any county clerk in Illinois. He'll also receive pension sweeteners on two additional government boards he currently sits on totaling $13,500. Will he receive an additional pension for those 21 years prior to winning office? The excuses for such an early retirement usually fall within two categories -- health issues and the desire to spend more time with family -- both sudden and both too heart-wrenching to question, let alone attack. By the way, the County Clerk also serves as the chairman of his deputy's political campaign.